The awards were announcend for vExpert yesterday. Many people received a nice email from John Troyer with these words. More details are available on the vExpert landing page. Pleased as punch to say that I was one of the recipients, hence you see the nice logo on the left hand side of the page now. What pleases me even more is that this award is for activities in 2008, before anyone had any idea that the award would exist. You know that all those people who received an award this first year earned it based on their efforts being purely for the good of the community and not for any recognition. What do you do to get a reward, or what did I do in particular? Well I don't think it was this little blog. The main reason? That will continue to remain a quietly kept secret. VMware don't tell you anyway, so its a guess, unless of course you are only active in one area. Congratulations to all of who are vExperts, especially all of those I have got to know over the last year through the various VMware community activities. If you are lucky enough to be at VMworld at the moment you have a chance to get yet another free T-Shirt. As Duncan Epping writes over on his blog. Now I want to see a full packed booth tomorrow at 13:00 - the Community Booth(next to the Dell Booth). So as a incentive we will give a free t-shirt to everyone that comes and drops a question to the Experts or even starts a discussion! If you’re scared to asks question just head over and vote for the best of the VMworld show poll, we will also be giving away shirts for that during the day. Just come and visit the booth during the day or during the VMTN Experts Session / Meet and Greet… who doesn’t want to have a cool looking VMworld Community shirt? I know I want one so I might just ask the famous Tom Howarth a question! I know most of these guys and they are the type of people I would love to have a natter with on all things Virtualisation. In fact the only person I don't know is Wil, so I would talk to him first! So do yourself a favor and get a long, you may even get a free T-Shirt. Over the last week or so there has been traffic in the cloud space regarding a paper released by memebers of the UC Berkeley RAD Lab. I had not seen anything come up in the VMware related blog sphere for this so thought I would post some details and links for all the VMware followers who are into cloud too and may have missed it. There is the actual paper itself "Above the Clouds: A Berkeley View of Cloud Computing." The website which hosts the executive summary and the following Youtube video introduction by the authors is at http://berkeleyclouds.blogspot.com/. The commentary on the paper has been mixed. Artur @ O'Reilly recommends it, Nicholas Carr thinks is worth weekend reading, James Urquhart from Cisco writing at CNet thinks they have missed the mark, citing fellow Cisco staff member Krishna Sankar who thinks "As an undergrad work on cloud computing, the paper gets an A+. But as a position paper from eminent academics, I can only give a C-. Granted it correctly identifies many of the trends and obstacles. But that material is widely available!". The most critical (not surprising) is Reuven Cohen. Lastly Paul Miller has a podcast with an interview of two of the authors. I think the major disconnect in the paper is the basic definition of a cloud as public. The artificial separation of public/private clouds and the focus on payment were the two areas where their definition has gone awry. Cloud is an architectural artifact and a business model of computing. But clouds are clouds – internal or external, public or private. The internal vs. external is only a spatial artifact – which side of the firewall. Not worth a demarcation when we talk about the domain of cloud computing. Which side of the internet (firewall) does the cloud infrastructure lie, should not be the criteria. By their definition, they have disenfranchised the whole set of clouds inside organizations. The internal-external cloud integration across data, management, policy and compute planes is an important topic which this model conveniently skips. Also as I mentioned earlier, utility is the consumption not a payment model. A big organization can have a cloud computing infrastructure and it’s business units can leverage the elasticity – no need for a credit card, a charge back model will do. I too see great opportunity for internal clouds inside organisations where companies deliver remote elastic services to their organisation. These internal clouds are then likely to be federated with one or more external cloud providers for even greater level of elasticity or additional services. VMware are really missing from the discussion here (except the occasional thought by Mike DiPetrillo). VMware announced vCloud in September 2008, its now late Feb 2009 and they have done very little to direct the market on this space, and they probably have one of the largest contributions to make. If Cisco can be getting the word out how come VMware can't. Yes its VMworld next week and they may be saving some things for that, yes the vCloud API is to be released sometimes this year, but the absence of noise is great. If VMware want to play in this space they need to contribute more voice to the space, even if its only their understanding around the market and its definitions. They don't need to release product details. If VMware are not part of defining this space they may find the industry ends up defining it for them. Lets see what is released at VMworld Europe next week and then how the discussion pans out. I hope to be pleasantly surprised. Update: Paul Miller just posted an note on the paper regarding the interview in the podcast. Ken Cline who is a VMTN Moderator and no slouch when it come to VMware has started an interesting thread on VMTN. I'm interested in learning how people are backing up their E2K7 environments that are running within VMware. Could you please let me know how you're backing up your's? 2. What backup application are you using? 3. Are you using VCB? 4. How do you do your restores? 5. Anything else you think that might be helpful. This is a great topic that I am sure a lot of people would be interested in. If you run Exchange in VMware, and a lot do, why don't you drop by the thread and post some details on your experience. You never know, you may pick up some good ideas to improve your backup. If you are a vendor with some good information, jump in too, just be sure to be upfront as to whom you represent. 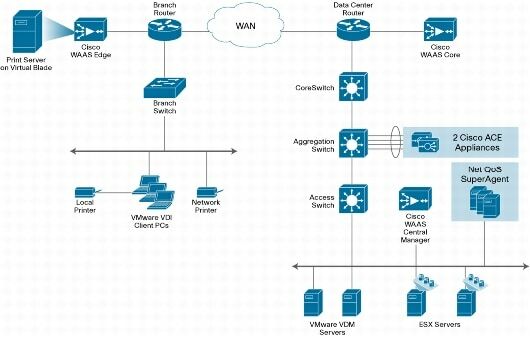 If you are interest in Exchange on VMware in general then http://www.vmware.com/solutions/business-critical-apps/exchange/ is a good place to start. I am often asked about some strategies for the vCenter Server database. What to use and where to put it. Here are some of the things I discuss. The database needs to be sized. You can use the Excel spreadsheet at http://www.vmware.com/support/vi3/doc/vc_db_calculator.xls or if you already have VC running and are changing the statistics settings the dialog will estimate the new size for you. Knowing your size is going to assist in picking a platform. Are you going to use SQL Express or do you need to go with full blown SQL or Oracle. SQL Express is support and VMware are happy for you to use it for small implementations, to quote “Microsoft SQL Server 2005 Express is intended to be used for small deployments of up to 5 hosts and 50 virtual machines.” The limitations of express are up to 1 CPU, 1 GB Addressable RAM and 4 GB Maximum Database Size. If that’s suitable for the growth of the implementation then fine, otherwise put in a full licensed version. Using Express is one area I see people being too polarised and selecting with their heart and not their head. The next question is where to run the database? You choices are locally on the same machine as vCenter Server or on a separate machine. Your choice is going to depend on scale and licenses. Typically most implementations I see run the database on the same server as vCenter Server (and the license server) as for most implementations the load can easily be handled by a single physical or virtual machine. At some point a separate server may be required, but this is going to only be on the larger implementations. Sometimes a customer will have a main database server which they want to run the vCenter Server database off, which is fine, usually these are a cluster and built for performance, scale and uptime. The only one thing you DO NOT want to do is run your vCenter Server database from a separate virtual machine (whether the vCenter Server is physical or virtual). Yes one CAN make it work but I have yet to see an example of where the benefits outweigh the startup difficulties this creates. Maybe you can convince me. Doing this just sets you up for a world of pain. If your environment is small you can use Express, if its not that small you can affort to do it right. The database needs to be up and running before the vCenter Services start. If they are on the same machine you want to set the service dependencies just in case, see http://kb.vmware.com/kb/1007669 for details on how to do this. Remember this database is going to need some maintenance, many people forget this. As a minimum its going to have to be backed up so include a backup agent or configure a script to dump a database backup to some other location that is being backed up. A great reference on the vCenter Server database maintenance is http://www.vmware.com/files/pdf/vc_microsoft_sql_server.pdf which covers the following handy topics. Here is a reading list that VMware Architects should have at least scanned. Post any feedback into the comments. People often ask a question about VMware (ESX) and its consistency of data. Many think that if a host crashes the virtual machine data may be corrupted or worse than crash consistent. The KB article "Storage IO crash consistency with VMware products" @ http://kb.vmware.com/kb/1008542 gives a great summary. VMware ESX acknowledges a write or read to a guest operating system only after that write or read is acknowledged by the hardware controller to ESX. Applications running inside virtual machines on ESX are afforded the same crash consistency guarantees as applications running on physical machines or physical disk controllers. Now you know and you have something to cite. You know I keep saying VI:OPS has some great stuff, but today it hit gold. Announced here first. Steve loaded a PowerPoint file with an amazing amount of pictures for VMware software. There are small elements up to whole product sets. You can download the file at http://viops.vmware.com/home/docs/DOC-1338, just scroll to the bottom of that page for the link. Thank you VMware Corporate Branding for releasing this. I suspect it may be buried in Partner Central too. Now if we just had a Visio version with all the anchors set. My elevator pitch for cloud computing is “remote elastic service”. I have been thinking about cloud for 6 months and it’s taken me this long to get it down to an elevator pitch that works. Cloud computing is accessed remotely. This may occur over the Internet or via a private service. It may be purely internally to your company or with an external third party. But cloud is remote. Cloud computing is elastic. This expands into areas of capacity and potentially payment. Consider scaling, right sizing, overflow, its all elastic. Pricing may be elastic to, pay as you go. Cloud computing give you remote access to an elastic service. The service may be a whole variety of things. A single application, such a blogging site, that’s Software as a Service. A framework for building your own things like some storage or a mapping system, that’s Platform as a Service. Maybe it’s a whole compute unit like a virtualised computer, that’s Infrastructure as a Service. Getting someone else to deliver that service for you means you don’t need to worry about maintaining it. There you have it, next time someone asks you, “So what’s this cloud stuff” you can reply “Oh, its just remote elastic service. Let me expand …”. Then you can expand each word out for whatever the circumstance requires, Remote …. Elastic …. Service. I am not saying it’s a complete definition, but we all need an elevator pitch, something simple. Sometimes you don’t have 5 minutes to get the distillation of what you need say across. Anyone you speak to can walk away remembering it, remote:elastic:service. P.S. I searched all the search engines, “remote elastic service” hits nothing, so spread the word! What are your operational procedures for your VMware environment. I often get asked, "Rod, now that I have my new VMware environment, what do I need to do to run it on an ongoing basis?" To me this comes down to two things. Your monitoring system provides the following functions for you. Here is an example list of elements for monitoring. Your monitoring will certainly consist of VMware vCenter Server and also your hardware monitoring platform. Often these are supplemented by a VMware specific product like Vizioncore vFoglight, Veeam Monitor or Nimsoft. Your management processes and procedures provide the following functions for you. A list of operational procedures on how to perform standard maintenance and trouble shooting tasks. A change management impact matrix to detail the potential impact and risk of a particular type of change. Here is an example list of operational procedures. The procedure to place a new virtual machine within the virtual infrastructure into a Production state. This may be identical to the physical server commissioning procedure. The procedure to place an ESX server into and then out of maintenance mode, migrating the guests onto other ESX Server hosts. The procedure used to contact VMware for support. It should include contact information and specify contact methods as well as means of collecting information. The procedure to add a LUN to an existing ESX server cluster. The procedure to patch a template used for creating virtual machines. The procedure to create a snapshot of a virtual machine. The procedure to restore the virtual machine state to its previous state at the start of the snapshot. The procedure for investigating user reported virtual machine performance issues. What to check and how to respond. The procedure to add a disk to an existing virtual machine. The procedure to expand the size of an existing disk for a virtual machine. The procedure to shrink a disk used by a virtual machine. The procedure to remove a disk from a virtual machine. The procedure to decommission a virtual machine. The procedure to migrate (VMotion) a virtual machine between ESX Server hosts in the same ESX cluster. The procedure to build an ESX server. The procedure to add an ESX server into an existing ESX cluster. The procedure to migrate a virtual machine between ESX Server hosts in the different ESX clusters (i.e. between datacenters). The procedure to confirm that a SAN link is active, to be used after a SAN link has failed and been restored. The procedure to confirm that a network link is active, to be used after a network link has failed and been restored. The procedure to enable the network group to troubleshoot user reported network / performance issues. The procedure for backing up/restoring VMs (VM-level and file-level). The procedure for backing up/restoring VirtualCenter database. The procedure for backing up/restoring license server files (or keys). The procedure for restoring VirtualCenter Server. The procedure for restoring ESX hosts. Do you have any elements you also find important for Operations? Post in the comments.